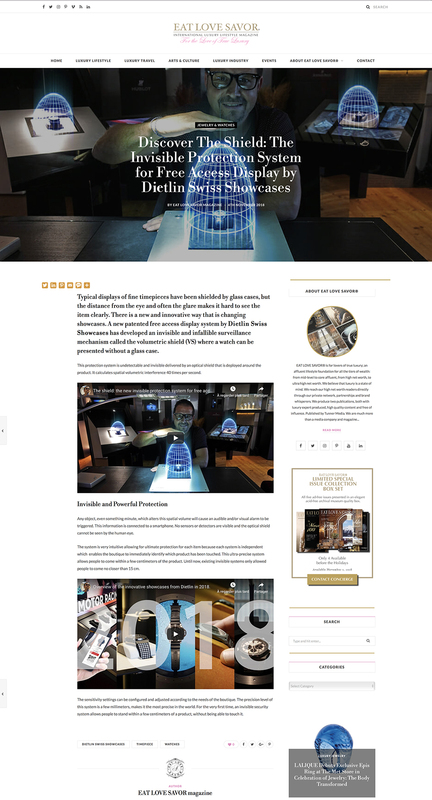 Eat Love Savor Magazine: Discover The Shield, The invisible protection system for free access display by Dietlin Swiss Showcases. Typical displays of fine timepieces have been shielded by glass cases, but the distance from the eye and often the glare makes it hard to see the item clearly. There is a new and innovative way that is changing showcases. A new patented free access display system by Dietlin Swiss Showcases has developed an invisible and infallible surveillance mechanism called the volumetric shield (VS) where a watch can be presented without a glass case. This protection system is undetectable and invisible delivered by an optical shield that is deployed around the product. 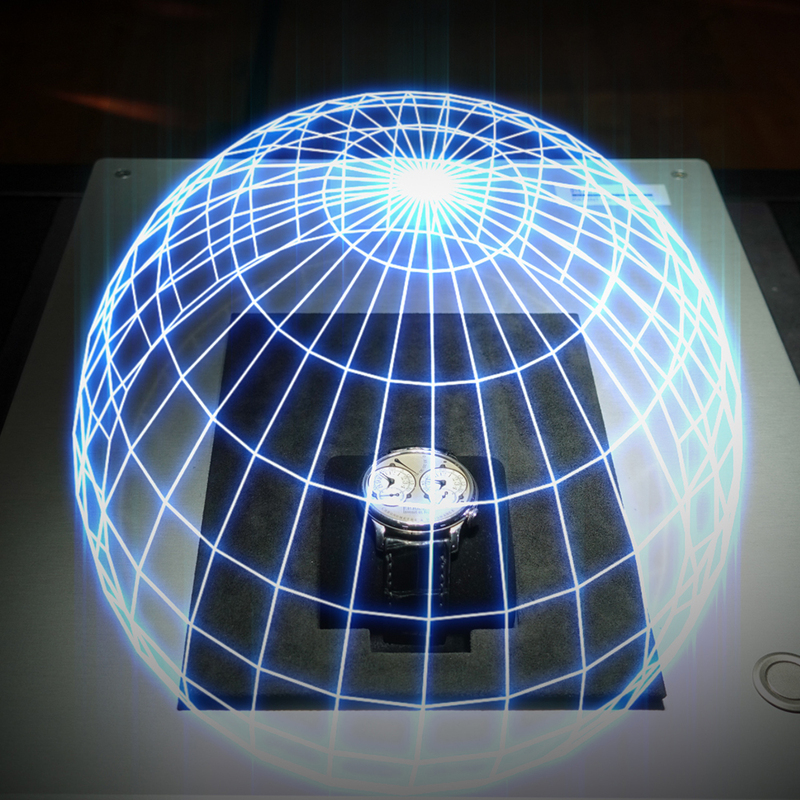 It calculates spatial volumetric interference 40 times per second. Any object, even something minute, which alters this spatial volume will cause an audible and/or visual alarm to be triggered. This information is connected to a smartphone. No sensors or detectors are visible and the optical shield cannot be seen by the human eye. The system is very intuitive allowing for ultimate protection for each item because each system is independent which enables the boutique to immediately identify which product has been touched. This ultra-precise system allows people to come within a few centimeters of the product. Until now, existing invisible systems only allowed people to come no closer than 15 cm. The sensitivity settings can be configured and adjusted according to the needs of the boutique. The precision level of this system is a few millimeters, makes it the most precise in the world. For the very first time, an invisible security system allows people to stand within a few centimeters of a product, without being able to touch it.